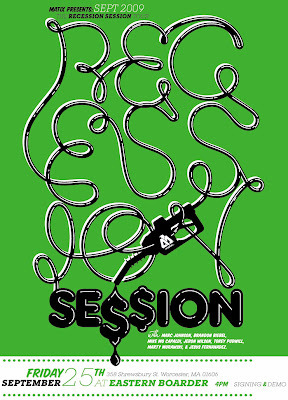 The Matix 2009 Recession Session is coming to the new EB Worcester shop (358 Shrewsbury St Street) for a demo & in-store appearance on Friday September 25th!! That's right: Marc Johnson, Mike Mo, Biebel, Pudwill, Jeron Wilson hanging out and skating...WHAT MORE DO YOU NEED TO KNOW! !